Tom Kawall passed away on Monday 3/10/14 unexpectedly of a heart attack. Tom was the current President of the Mo-Ark Classic Chevy Club. We will be having a local "celebration of his life" on Friday 3/14/ 4:00pm to 8:00pm at Motter Residence 219 N. Catamount Blvd Branson West, MO. Our Web Master has posted many sections of information for our members and general public. Any questions, forms, posting requests or general assistance you need, please feel free to contact us by email or general mail and we will arrange for a member to respond. You can use the Email link or mailing address posted below. 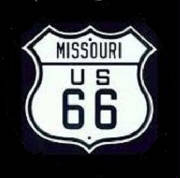 The information listed FREE on all of the web pages are for the Southwest Missouri area's below Historic Hwy ROUTE 66 / I-44 and the Missouri / Arkansas state line for referance ONLY. Some events outside of our local membership area might be listed if it meets our criteria as a club interested activity..
8 miles west of Branson Mo. Info provided within ALL web pages are referance only. Mo-ArkCCC Directors nor its members are NOT responsible for mis-information, errors, cancellations and/or changes Call previous to attending any event to verify the hosts event info. See below for latest total.